Back in May Caribbean Twist (3081 Gottingen Street) posted a ‘Closed for Renovations’ sign in its window. With the promise of re-opening within a week-and-a-half lovers of its Jamaican flavours didn’t make much fuss. The renos—which were being done by Caribbean Twists’ landlord—were a belated follow-up to some zoning issues you may recall, which made the news three summers ago. Remember that? “After the petition, the city turned around. And the city’s been extremely helpful,” says owner Lyndon Hibbert. 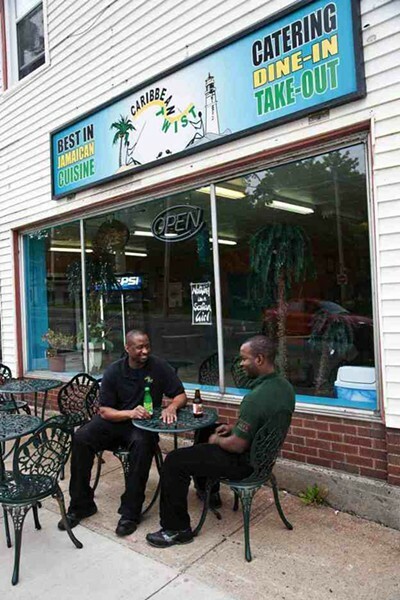 “The problem has been with the landlord.” So two weeks passed with no sign of Caribbean Twist, then three and then, on July 1, Hibbert took to Facebook to announce that unfortunately, the Gottingen Street location had permanently closed. “It was no longer feasible to open up, I had debt and less than a half a year left on the lease,” says Hibbert, blaming costs incurred during the month without revenue for forcing the closure. There’s a silver lining, though. The jerk chicken, roti and Jamaican patties you’ve got on your mind are now available at recent northender South Park Catering (3619 Novalea Drive, 453-8161). The flavours and cooks haven’t changed, but the Twist’s become a subdivision of South Park. And with no plans to re-open his own restaurant in the future, Hibbert says he’s more than happy to have the food stay put on Novalea Drive for the time being. “Truthfully on my end, I’m setting it up here and putting everything in order but I’ll be managing not working,” he says, adding he'll be getting back into his former field in social work. “I started Caribbean Twist as an opportunity to hire other people, give people a chance.” And he's done that, and much more, for the community.